32 bar reels such as Canadian Breakdown. There is a slightly different version given in Zesty Contras in 1983. In that version only the #1s do the Balance/Dosido, perhaps reflecting more crowded dance floors with less room for everyone to Dosido across the set; there is only one Balance in A2; and B2 is Stars. In the SYLLABUS of the 20th Annual Ralph Page Dance Legacy Weekend the same version is given, with the suggested timings shown above. It also says "Based on an earlier dance called the Monadnock Reel, which was written in 1942 and originally named MacArthur's Reel after the World War II general. That dance was renamed because of MacArthur's apparent unpopularity with many of the troops who came from southern New Hampshire." Strange then that Zesty Contras says that Monadnock Reel is a variant of Canadian Breakdown. I wonder which really came first! 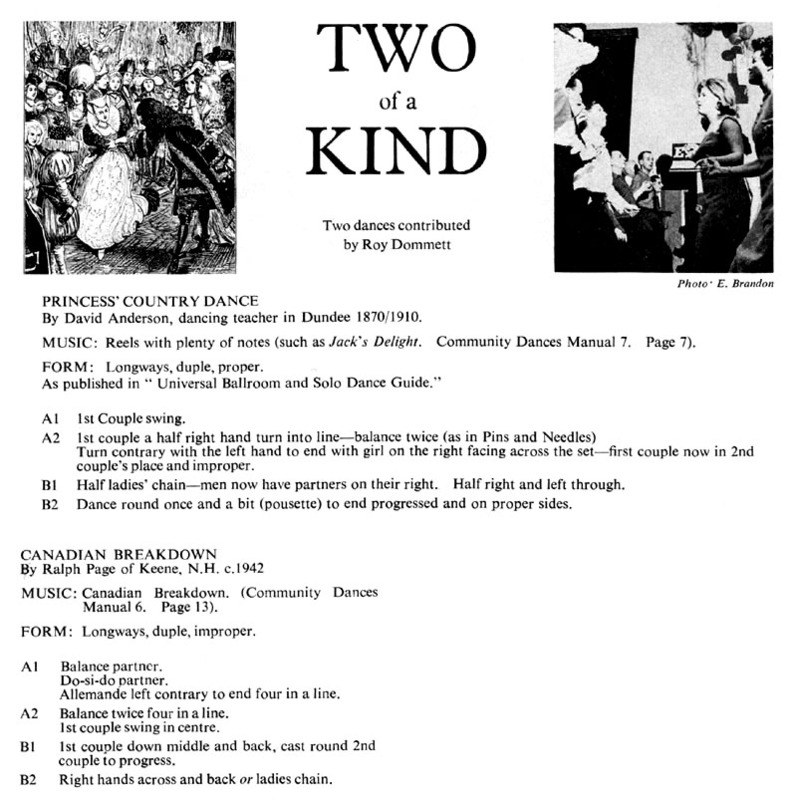 The article covers two dances; the other one is Princess' Country Dance.